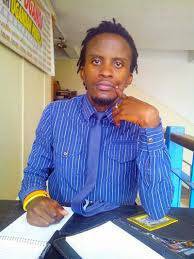 Musa Luswata is a passionate art lover in all its genres. His acting career started from humble beginnings in high school and since then he has never looked back. He has featured in theatre productions like The Madragola, The Trick, The Bride, Who is to Blame, In the Name of Love and Cake a Canadian collaboration which featured at Bayimba International Festival. In 2012 he also acted as Juma in the famous Silent Voices by Adong Judith and also worked as a Production Assistant. His radio drama acting includes: Take My Hand (The Nurse Mildred Show) And RockPoint 256 while his Film Acting includes, Murder, Real Creative and Some Bad News. Musa is also a script writer and Director with an amazing skill in casting directing. Lead screen writer of the famous television series `Deception'. This has been his biggest profession project. Take my Hand (Nurse Mildred) a radio drama series he wrote under the mentorship of Judith Adong Lucy and it aired on the local fm waves. This was an internship programme for him. Silent Voices a theatrical drama that was written by his mentor Judith Adong Lucy. Luswata offered editorial assistance on the script and also acted in it when it was staged at the National Theatre. Delicious Torment a theatrical drama that Luswata wrote and directed for Triple P primary school in Mukono and it was staged at Theatre La Bonita.